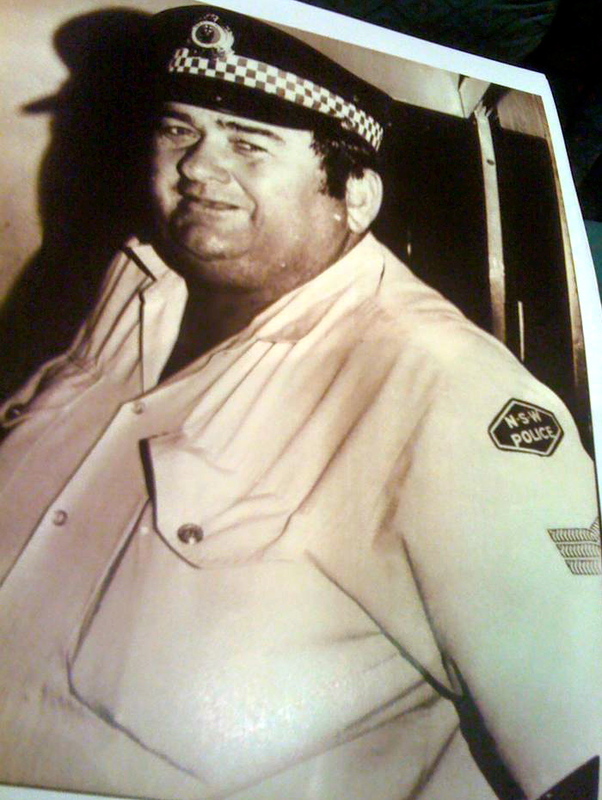 Frank served in various locations with the New South Wales Police Force; locations such as Bankstown around 1971 / 1972. May you forever Rest In Peace Frank. Just at work here thinking of you on Anzac Day. We had great times and memories on this important day. It will always hold a special place in my heart. You were an inspiration to all your family and a treasured friend to me. You still form a great part of my life as I struggle with my own insecurities and decisions in my work – work that you devoted 30 years to serving the community. Combined we have given 65 years to keeping the streets safe and upholding the laws of the land. Hoping that there is that life after death we have all believed and had faith in and that we will meet again without pain and suffering. Each day goes by but never without a thought of my dad & how much I love & miss him. Sleep peacefully until we meet in a much happier time. Where has 12 months gone – this time last year we were seeing you slipping away peacefully into your next life. I hope and pray that you are at peace. Memories of your life are still very strong and I am still meeting people who are saddened by your loss. You affected the lives of so many. I MISS YOU AND THINK OF YOU OFTEN. I hope and pray that one day we can all be reunited. Its now been 6 months since your passing – time goes far too quick. You are forever in my thoughts and prayers from morning to night on a daily basis. Many happy memories of the times spent with you. Many sad memories of those last days seeing you struggle and in pain. Your legacy still lives on in your children, grandchildren and friends. Pop, three months have passed and not a day has gone by without a thought of you. You were admired by so many people. It would be a honour if I can inspire only a fraction of the people you have. I am so proud to be able to call you ‘My Pop’. I miss you every day, but I know in time I will see you again. For now may you Rest In Peace. Frank , many many happy memories of mine and Dianne’s (and all our mates) teenage years spent with you in the backyard at Sefton. Great BBQ’s! Great Laughs! and always plenty to drink ! I have a memory of you in the garage down the back trying to keep the beer out of Marie’s line of sight at each party we had. We miss you pop, hope you are going well at bowls in heaven. Pop, everyday that goes by you are always in our thoughts. there is always something that reminds us of a wonderful memory of you, majority of them resulting in a good laugh. you are now at peace and I will always treasure the telephone conversation I had with you a week before you went to rest. I am honoured to have francis as my middle name. You are still forever in my thoughts and prayers. Wish you were here. Hopefully you are now free of all the pain and agony and are resting comfortably. From all the tributes since you have passed you are sorely missed. Maureen, Jess and Troy are forever thinking of you and we often talk about the good and fun times. Frank, you and my dad were great mates. That friendship extended to me in my teenage years when I was among the “hoods”. That you for looking after me; Kicking my bum when it was needed and giving me some great rides in the police car, lights and siren…. I thought I was cool. I’ll see you in my next life Frank. 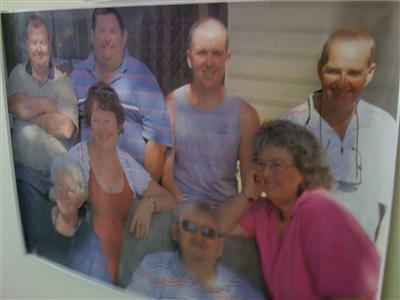 Many years ago with Bass Hill RSL soccer, Frank was a respected friend to all of us “hoods”. Geoff Tolmie (dec), Les Webster, Phil Watkins, Mark Overton, Graham Maloney, Wayne Hopkine, Gordon Rooney, Richard Reberger, Steve Fisher, Danny Murray, Glen Morley, Gary Morley, Graeme Frost, Graeme Keenan, Ken Nicholl, Rudi Paul, Phil Greig, Jimmy Garside, Russ and Paul Boulton, Binky Baker, Col Connors. Our sympathy is with the family, and we are better people for having known Frank. In loving memory. May you now rest in peace. He was a dear uncle to many as well originally 32…nieces and nephews. In the years gone by there are now 3 times that in the extension of the original. May god look after his soul. Its now been 6 months since your passing – time goes far too quick. You are forever in my thoughts and prayers from morning to night on a daily basis. Many happy memories of the times spent with you. Many sad memories of those last days seeing you struggle and in pain. Your legacy still lives on in your children, grandchildren and friends. MISS YOU SO MUCH. Will keep praying for you that you Rest In Peace. We miss you pop,hope you are going well at bowls in heaven. Pop,everyday that goes by you are always in our thoughts. there is always something that reminds us of a wonderful memory of you, majority of them resulting in a good laugh. you are now at peace and I will always treasure the telephone conversation I had with you a week before you went to rest. I am honoured to have francis as my middle name.